Prokofiev's first symphony, which he mischievously dubbed "Classical," is a sprightly piece based on the symphonic models of Haydn. "I thought that if Haydn were alive today he would compose just as he did before, but at the same time would include something new in his manner of composition," Prokofiev remarked. "I wanted to compose such a symphony: a symphony in the classical style." The composer's synthesis of twentieth harmonies and timbres with eighteenth-century structure and form has captivated audiences since its premiere in 1918. 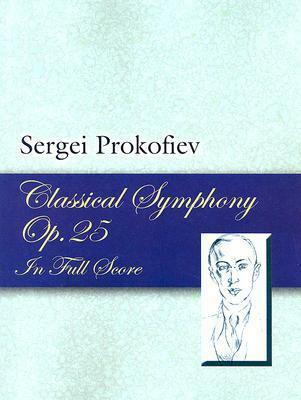 This is Prokofiev's most frequently performed symphonic work, and this edition is meticulously reproduced from an authoritative early source.